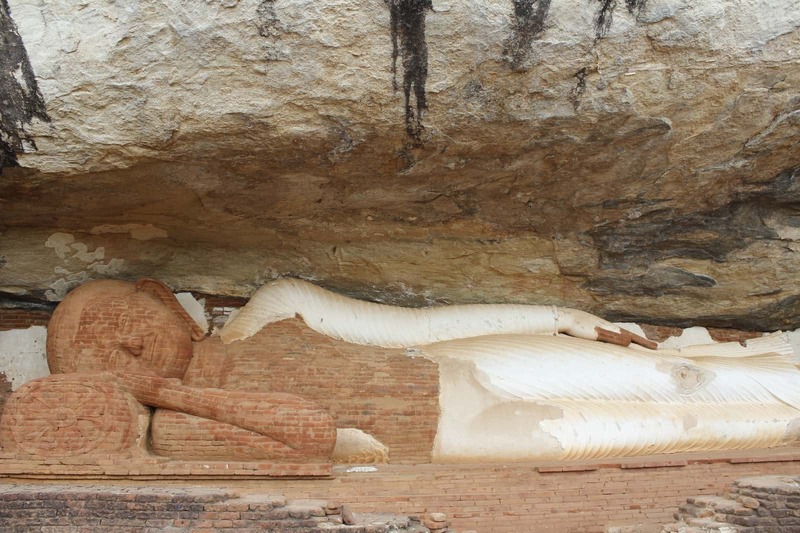 Dambulla and Sigiriya are located in the cultural heart of the country. 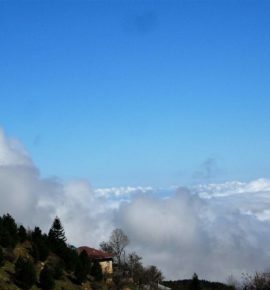 Both towns have spectacular places of interest, which all together could easily take up two to three days of your time. 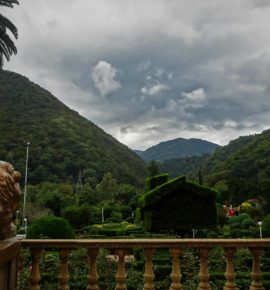 But as not everybody is blessed with heaps of time, this is one of the places where you can cut down your visit to one single day and still see the best of both villages. From gazing at ancient art in the Dambulla cave temple to traveling back in time at Sigiriya’s Lion Rock, or climbing the lesser famous Pidurangala rock; this guide has everything you need to plan an awesome day trip. Even if you’re on a budget. 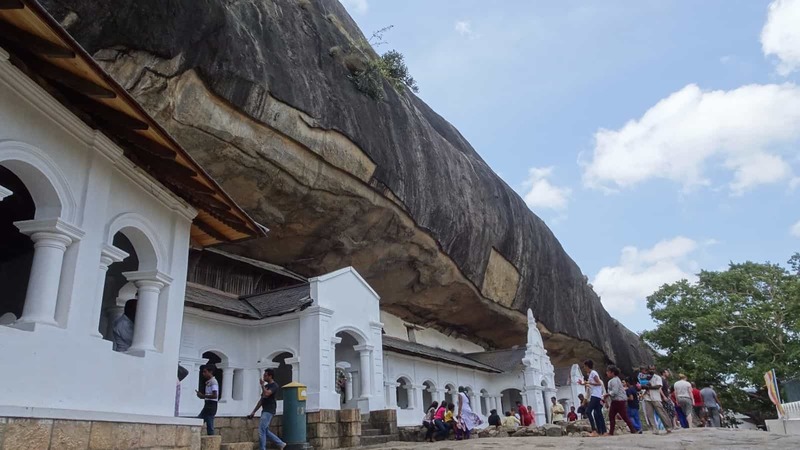 Start your day with a trip to the UNESCO’s listed Dambulla cave temples, located atop of a 160 meter high rock and has been a sacred place of pilgrimage for over 22 centuries. Climb the stone stairs up, snap some pictures of monkeys along the way and enjoy some mesmerizing views as you walk your way up. At the temple, classified as the largest best preserved cave temple in Sri Lanka, you first take off your shoes before you enter the sanctuary. 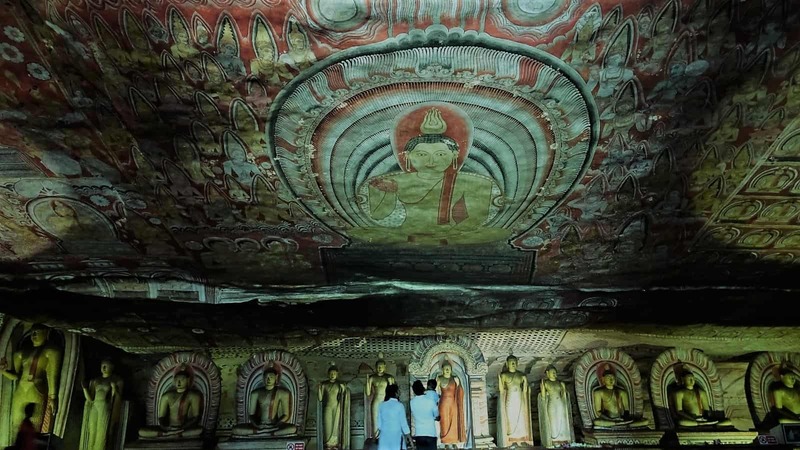 Then walk through its five stone chambers which are blessed with colorful murals depicting many Buddha’s and the story of how prince Siddhartha became the first enlightened. Other features are 157 stone statues varying in size and color. Continue your way down in opposite direction for an interesting view on a towering golden Buddha. Read this inspiring story for more information about the Dambulla cave temple. 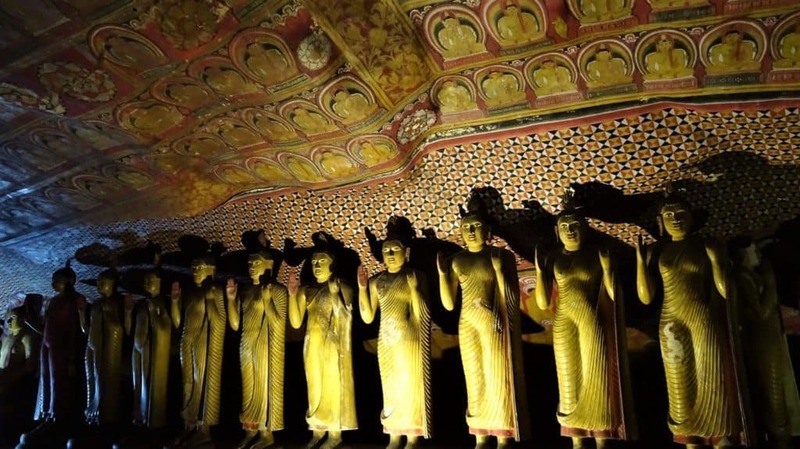 Ticket price; 1500 rupees for the Dambulla cave temple, sight of Golden Buddha is free. Get there; either by taxi, tuk tuk or bus from Sigiriya. Busses run daily from 06:00 AM to 07:30 PM with an interval of 45 minutes. Travel time is 45 minutes and a the fare is 40 rupees only. Eat; at the open-air-like restaurant between the golden Buddha statue and the parking lot. As they serve both a variety of Sri Lankan snacks as well as rice platters for a small price, this is an excellent place to taste some Sri Lankan cuisine. Save yourself the trouble of climbing up for nothing and buy your ticket downstairs at the ticket counter. Also, if you come per taxi or tuktuk, make sure your driver drops you at the ticket counter instead of the Golden Buddha. Go in the morning or late afternoon to avoid the heath of the day. Besides the discomfort of climbing and walking in the full sun, the ground can get awfully hot at midday. Water and snacks are not available at the cave monastery, bring some to keep you going. At the same time, be careful with your food as monkeys are not sky to take them. Be prepared for a small, moderately intensive climb. To reach the temple cave you’ll need to walk quite some stairs up. Everybody in moderate health should be able to do so, but it might feel like a little work-out to some. Also referred to as Lion Rock, are the remains of an ancient citadel, build on a nearly 200 meter high rock. 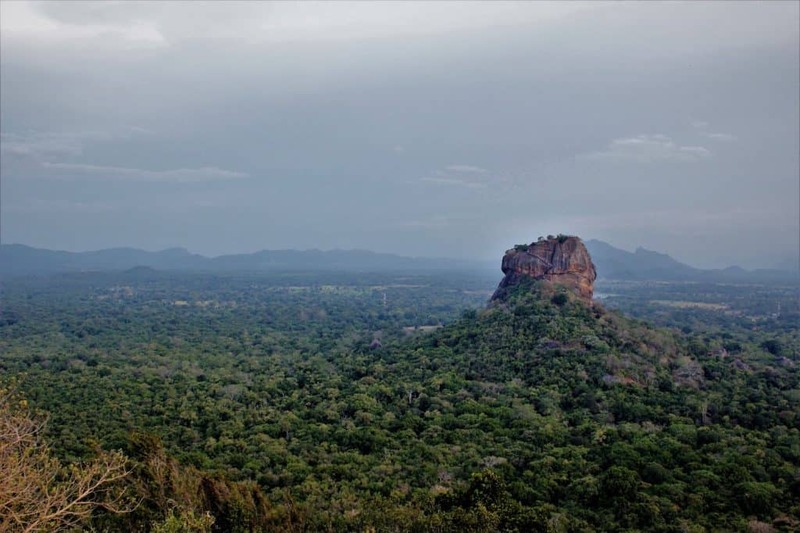 Once selected by king Kasyapa to be his new capital in the 5th century, the site now shows the remains of his palace, old colouful fresco’s, gardens and the large lion paws that mark the gateway to the fortress. In addition, the place is UNESCO listed for its well-preserved example of ancient urban planning. In earlier days it served as a Buddhist monastery. Legend has it that the rock might be the Alakamandawa –City of the Gods- as referred to in the Hindu story of Ramayanaya. Adding even more divine spirit to the place. 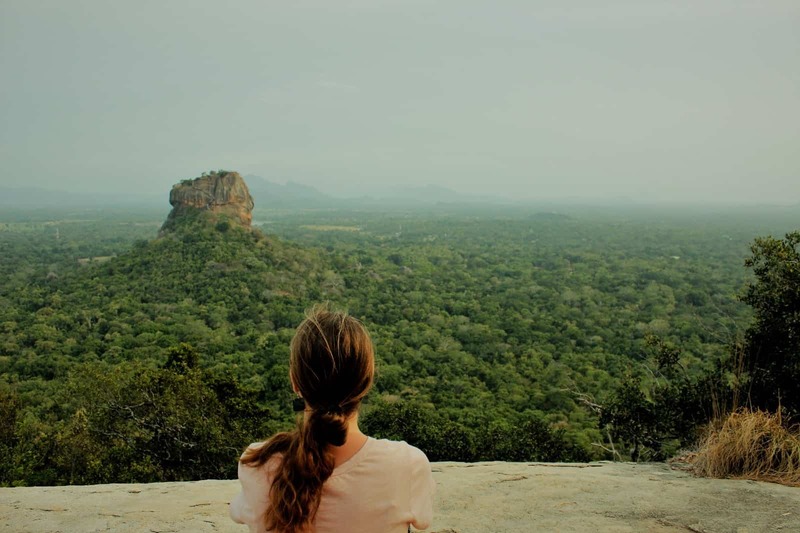 By far most people coming to Sigiriya visit the Lion rock, but with its steep entrance fee and the vast amount of visitors not everybody can afford- or is willing to pay that money. That is where Pidurangala comes in. With just a fraction of the entrance fee you can climb up to Pidurangala any time of the day and have spectacular views on the Lion Rock. Visiting during sunset adds a special touch as you’ll see the sun set behind the famous Lion Rock, creating an almost magical view. Buddhist monks used to life at Pidurangula as well. When you climb up you’ll pass a renovated cave temple halfway, and a functioning temple at the start of the trail. We went during the full moon and saw both a spectacular moon rise from the top and observed people praying on our way back. Both rocks, located within close distance to each other, require you to climb almost 200 meters to reach the top. But where Lion Rock offers stairs, Pidurangala requires you to boulder a bit when the stone stairs end. This is actually a pretty fun and somewhat challenging experience. When I went lots of people where helping each other out on this part of the climb, so don’t skip this plan because of the boulders. The views and the wait are well worth the efforts. For the second activity, simply choose which of the two rocks has your preference. Either way, you’ll have a wonderful time. Ticket price; Sigiriya rock 4500 rupees. Pidurangula rock; 500 rupees. Opening hours; Sigiriya rock 7:00 AM to 07:00 PM. Pidurangula 24 hours. Get there; both rocks are easiest reached by tuk tuk or bicycle. Eat; After climbing have a good meal at any of the ambiance-rich restaurants at the connecting Inamaluwa Sigiriya road. 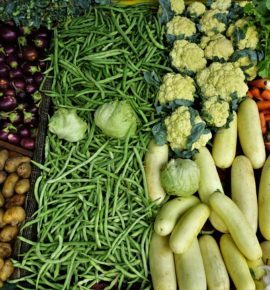 You can get everything from western to Sri Lankan to delicious fresh fruit juices. Go in the early morning or late afternoon to avoid the heath of the day. The physical exercise and sometimes waiting time in the full sun can be pretty challenging and is best to be avoided. Pidurangala rock is open 24 hours, which allows early risers to watch the sunrise. The sunset can be seen from both rocks. To catch it one should start climbing around 04:30. Carry a torch when you go for sunrise or sunset, as there are no lights to guide your way in the dark. Wear comfortable clothes and shoes. Especially for Pidurangala rock, where closer to the end of the trail you’ll need to climb with both hands and feet. There’s nothing more uncomfortable then having other visitors peeking under your sundress while you’re climbing. An extra note on Pidurangala; as you’ll be passing two Buddhist temples your dress should cover your knees and shoulders. Water and snacks are not available at both rocks. Bring plenty to keep you going. Monkeys have been reported at Lion Rock so be careful when you’re eating. 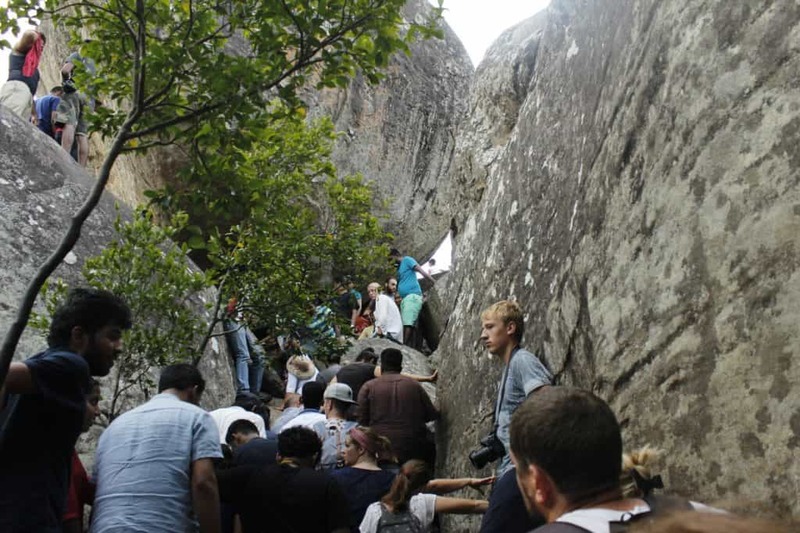 Although many bloggers say that Pidurangala Rock attracts way less visitors we did find ourselves waiting quite a while to climb up at the boulder part. Possibly this changes from day to day, but better to be prepared for some waiting. 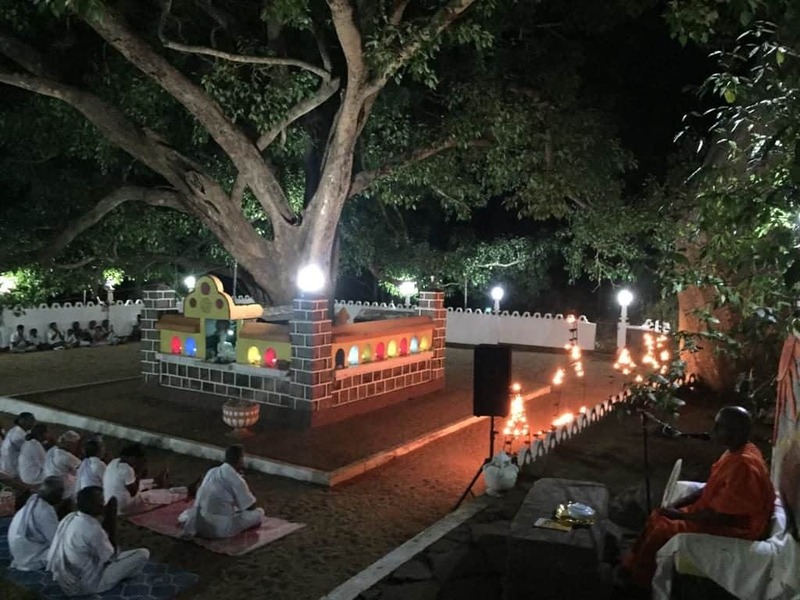 Pidurangala Rock Monastery, Full Moon prayers. For this day trip it’s most convenient to sleep in Sigiriya. 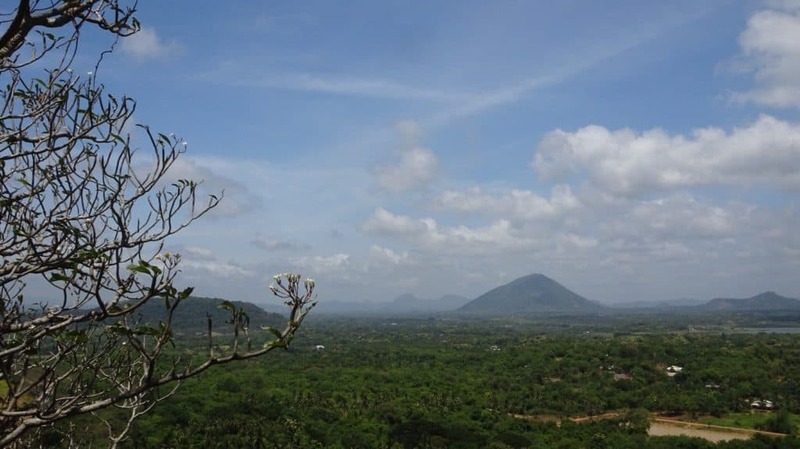 Transportation to Dambulla is super easy to arrange and doesn’t have to cost much. In Sigiriya there are plenty of restaurants and accommodation which provide facilities to all budgets. Most home stays, guesthouses and hotels are located in a private, natural surrounding and in close distance to both rocks. Perfect to come home to after a long day of sightseeing. 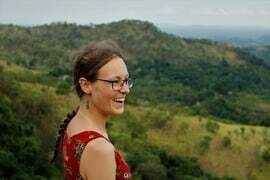 I stayed at the Manju home stay, which offers clean, private rooms with a delicious Sri Lankan breakfast and air-conditioning for an affordable price. 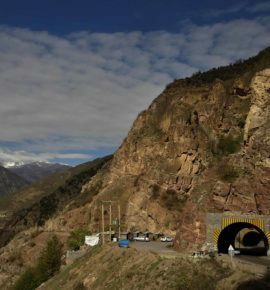 Manju also offers a lot of services such as tuktuk rent, scooter rent and sightseeing trips to nearby national parks and villages. 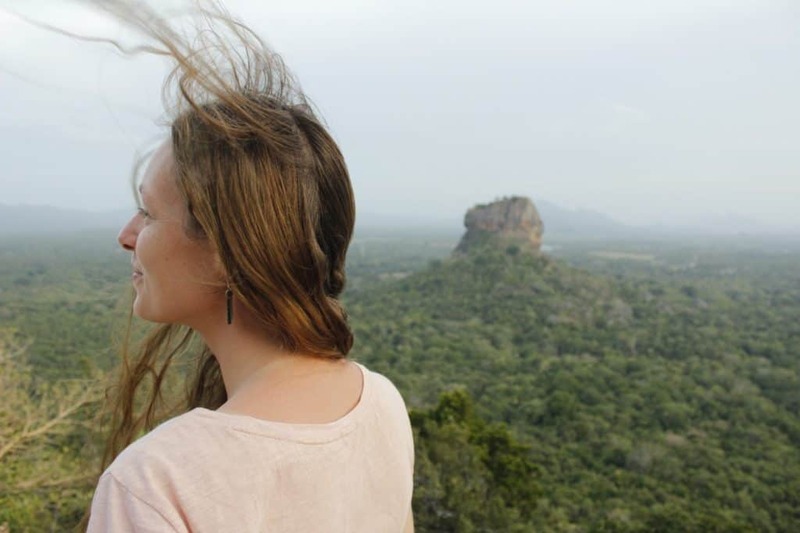 In the event that you do have extra time you can consider climbing both rocks in Sigiriya. 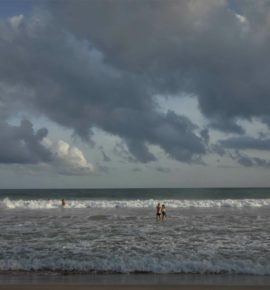 Or to combine it with a (half)day trip to see elephants and wildlife in the nearby Kaudulla or Minneriya National Park. Cities in close distance to continue your trip are; Kandy, the ancient cities of Anuradhapura and Pollonnaruwa. And the beachy cities of Batticaloa and Trincomalee. Is this article helpful? Be sure to share it with your friends. And check out this page with Sri Lanka blog posts.